Patty began her career in sales working for RH Donnelley, a publishing and advertising firm. She became a licensed real estate agent in 1990 and worked for a local company for eight years before starting a business in corporate event planning in the metropolitan area, helping companies plan and implement conferences, fund-raising events and galas. 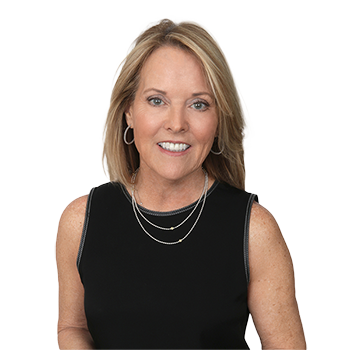 Patty returned to real estate in 2013 with Lori Leasure�s team at Washington Fine Properties, where together they serve buyers and sellers in the MD and DC area. Growing up in Bethesda and then raising a family in Potomac, along with her extensive background in sales have provided Patty with the knowledge and skills so essential in real estate. While she particularly enjoys working with first-time buyers and people who are downsizing, she is equally comfortable working with all types of buyers and sellers.